Finish: Clear. Item is suitable for resale. Opening Hours. 12V mains power. Quality Long Life Bulbs for sale are as follows Strengthened Clear front glass. Clear specification. Extra Long Life -. Even distribution excellent rendering. Dimmable specification. Quality Long Life Bulbs for sale are as follows Strengthened Clear front glass. Clear specification. Extra Long Life -. Even distribution excellent rendering. High Light efficiency. Dimmable specification. 12V mains power. Quality Long Life Bulbs for sale are as follows Strengthened Clear front glass. Clear specification. High Light efficiency. Dimmable specification. 12V mains power. Quality Long Life Bulbs for sale are as follows Clear specification. Strengthened Clear front glass. High Light efficiency. Dimmable specification. Quality Long Life Bulbs for sale are as follows Strengthened Clear front glass. Clear specification. Extra Long Life -. Even distribution excellent rendering. Dimmable specification. 12V mains power. 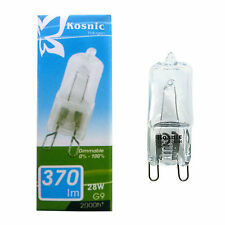 Quality Long Life Bulbs for sale are as follows Strengthened Clear front glass. Extra Long Life -. Clear specification. Even distribution excellent rendering. 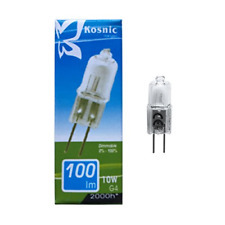 Kosnic 10W PowerSpot LED E27 PAR30 Cool White Lamp KTC10P30/E27-S50. Socket E27. Main Colour Silver. Save energy up to 85% compared with halogen lamp. Color Temperature Cool White. Shape Reflector. Light Fittings. Socket/Bulb: G4. Bathroom Lighting. Kid's Lighting. LED Lighting. Outdoor Lighting. Colour output: 3000k warm white. Light Bulbs. Wall Lights. Dimmable specification. Quality Long Life Bulbs for sale are as follows Clear specification. Strengthened Clear front glass. High Light efficiency.